Election Day didn’t go exactly how we wanted it, but by no means are we defeated. There are no permanent victories and no permanent defeats, only permanent struggles with the Democrats which have been going on for decades. I’m in my 20s and I am still eager to fight for my future. Y’all did some amazing work in Harris County. Let me go into detail and I do apologize that this email is long because there is a lot to cover, but most important this was not 2008. Nationally, Romney got fewer votes than McCain, but in Harris County he got MORE. We are an urban swing county in which Republicans can actually win unlike other Southern cities like Atlanta (64% Obama), New Orleans (80% Obama), Dallas (59% Obama), or St. Louis (83% Obama)…..all Democrat strongholds. We in Harris County fought the Obama wave and won 61 of 115 races in Harris County. These are the Republicans that WON…..Because of YOU!!!! First, we will have a special election for Texas Senate District 6 (east Harris County). Gov. Perry has now 19 days to announce the election date. The GOP will have a candidate and we will need our Republicans to get out and support him. Special elections have few people vote, so each one matters even more. Second, keep the pressure on our members of Congress to make sure they hold the line and hinder the Liberals. The Republicans in Congress will decide their leadership team next Wednesday including Speaker of the House. Third, the Texas Legislature is still solid Republican and will be going through House Speaker elections soon. The session will begin January 15th and we need our Republican-controlled Texas government to push conservative policies. 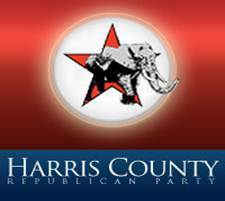 The Harris County Republican Party will be doing regular town halls during the Spring session to help voters know what the Legislature is doing. We do have a Mayor’s race and city council races next year and we have all seen how City Hall has been working out. We will need your help to work the polls on Election Day. 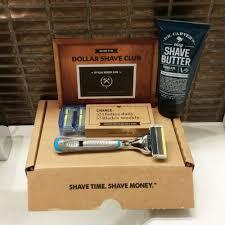 This will be followed up with big races for Texas government in 2014. Democrats have not won a state race since 1996. Since then we have had 100 state-wide races and Republicans have won all 100 of them! We took some heavy hits across the country, but we did a pretty darn good job here in Harris County at holding back the Obama wave in the 3rd Largest County in America. We did it because of you knocking on doors, making phone calls, writing letters, spending your money and your time, meeting your neighbors, and working your polls. The Harris County Republican Party is immensely grateful and that does not do justice the work you all did. You are the Republican Party and you won the day! With the election over, this is my last e-blast to this campaign group. If you still want to help out and be involved, let me know. However, you Precinct Chairs don’t have a choice and we will see you all at the executive committee meeting in December.